General Motors and its dealers should prepare for a marketing blitz and even consider lowering prices, analysts say, ahead of the automakers probable bankruptcy exit that may come as early as this week. Wolkonowicz said he expected GM to end its current advertisements about the necessity of creating a new company as soon as it exits bankruptcy. On Sunday, Judge Robert Gerber of the U.S. Bankruptcy Court in Manhattan approved the sale of GMs best assets to a new company majority-owned by the U.S. government. GMs bankruptcy has helped the company establish a lower cost structure, said automotive consultant and former analyst Maryann Keller. But bankruptcy cant change management problems or persuade people to buy the products, she said. So GM should go beyond marketing to get people into its vehicles. Wolkonowicz said some survey evidence shows Americans attitudes shifting toward a new nationalism, especially out West. Americans are rethinking and saying, Maybe we should give American companies a chance,  he said. He called on dealers to make the sale for the better product ratings GM has received. Most recently, the automakers high-volume Chevrolet brand finished statistically even last month with the Toyota brand in market research firm J.D. Power and Associates Initial Quality Study. And GMs Cadillac brand finished third in the survey of problems during the first 90 days of ownership. Ed Bozarth, who owns five GM-franchised stores in Kansas, Colorado and Nevada, said he had seen import buyers trickle into his showrooms as theyve heard better reports of GMs quality. Any negative impact on GMs sales occurred well before its June 1 bankruptcy declaration, Wolkonowicz said, as media reports of the possibility of Chapter 11 swirled while GM survived on $19.4 billion in federal loans. GMs monthly U.S. light-vehicle market share sank to 18.1 percent in March before hovering between 20 and 21 percent in the next three months. Dealer Tom Durant said business has been better at the six GM stores he owns in Texas and Florida ever since the company declared bankruptcy. But the national recession, in its 20th month, and the springtime recovery of GMs market share will prevent sales from making much more of a recovery this year, Wolkonowicz said. IHS Global Insight has forecast 9.8 million units of light vehicle sales this year, up from last months sales rate of 9.5 million units but well below the 13.2 million units sold in 2008 and the 16.2 million in 2007. 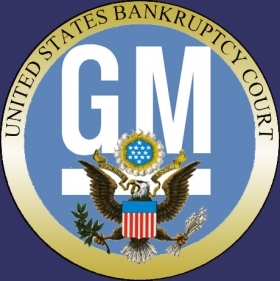 Judge Gerber put a four-day stay on the order for the GM bankruptcy sale to allow for any appeals, and a group calling itself the "individual accident litigants" gave notice today in a Bankruptcy Court filing that it will appeal Gerber's ruling to U.S. District Court in New York City. But in Chrysler LLCs bankruptcy case, appeals that ultimately reached the Supreme Court fell on deaf ears. The automaker exited its bankruptcy June 10 as Chrysler Group.